In no mood to back down over the current impasse in the South China Sea, Beijing slammed Japanese Prime Minister Shinzo Abe’s remarks on Tuesday that China’s drilling near the disputed Xisha Islands had created tension with Vietnam. “China will not accept unreasonable remarks or any interference from other countries,” said a Foreign Ministry spokesperson. A Vietnamese fishing vessel had sunk earlier in the vicinity of a Chinese oil rig parked in waters claimed by both China and Vietnam. “I believe, the fact and result of this incidence itself, has illustrated that Vietnam’s unreasonable and illegal disruption to China’s normal operations is totally in vain, and will only hurt its own interest,” Foreign Ministry spokesperson Qin Gang said in a press conference. Both sides have given differing versions of the sinking incident, pitting the other side as the aggressor. 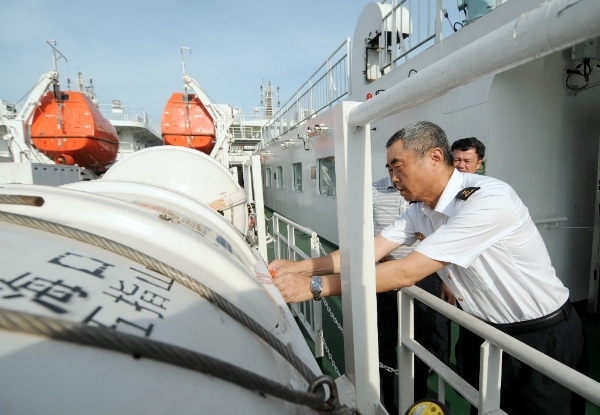 All ten members of the crew aboard the boat were saved, Qin confirmed. Earlier this month, Beijing evacuated thousands of Chinese nationals from Vietnam after deadly violence against Chinese nationals in the country, that left four Chinese nationals dead and more than 100 injured. Following the Japanese Premier’s remarks on the dispute, China urged Japan to respect historical facts about China’s “sovereign claims” over the disputed islands after the Second World War. Beijing also warned Abe against “making irresponsible remarks”, after the Japanese Prime Minister raised concerns over Chinese military buildup. A Wall Street Journal report on Monday said Japanese Prime Minister Shinzo Abe is planning to accelerate maritime aid to Vietnam amid its territorial standoff with China. But Vietnam failed to rally support against China at an ASEAN meet in Malaysia earlier this month. Disappointing Vietnam, a statement issued by the ASEAN foreign ministers said that China and Vietnam must abide by the provisions of the 1982 UN Convention on the Law of the Sea (UNCLOS).